I add many of these to my green salad superfood. See my salad superfood recipe if you want to make a salad. However, you can use these superfood ingredients in many different foods. The list below is roughly divided into two sections. The top section contains ingredients I often add to my salad superfood. The lower section contains foods I often eat in other meals or by themselves. Aduki Beans Organic BPA-free 15 oz. can by Eden Foods Beans are a true superfood. They are a staple in the diets of the healthiest and longest-lived people on the planet (see Blue Zones research). Beans are high in many important phytonutrients including antioxidants, anti-inflammatory compounds, fiber, protein, B vitamins, iron, magnesium, potassium, copper, zinc and more. Eating beans regularly reduces inflammation and may decrease the risk of diabetes, heart disease, colorectal cancer, and even glaucoma. They can help with weight management. Aduki beans are a small red bean that's mild, sweet, strengthening, easy to digest, and balancing. Beans and greens are staples in my diet. Chia Seed (Black) Organic 12 oz. by NOW Foods Chia is one of the best-known plant sources of healthy omega-3 fatty acids. The omega-3s in chia seeds can help reduce inflammation, enhance cognitive performance and reduce high cholesterol. Chia Seeds are also an excellent source of fiber (with a whopping 10 grams in only 2 tablespoons) and a good source of calcium. Unlike flax seed, chia seeds don't have to be ground and they don't go rancid the way flax does. Chia seeds can help you feel full longer and help you hit or maintain your target weight. Chia seeds are rich in antioxidants. Therefore, consuming chia seeds could help offset the inflammation and oxidantive stress that underlie glaucoma. Chlorella Manna 100 grams powder by HealthForce Chlorella is a tiny, single-celled fresh water algae. It contains Chlorella Growth Factor (CGF), which is a potent phytonutrient composed of amino acids, beta-glucans, nucleic acids, peptides, and polysaccharides. These micronutrients work together to help regenerate cells faster than normal to help your body recover from whatever is ailing you. Chlorella is an effective immune system booster. Some research suggests it boosts the body's ability to produce natural stem cells. It is also known for its ability to reduce cholesterol. Research suggests that chlorella consumption has potential for reducing oxidative stress in humans, an important piece of information to glaucoma patients. In another study, chlorella significantly prevented age-dependent cognitive decline. Chlorella is an excellent source of protein, healthy omega-3 fatty acids, vitamins, minerals and more. Here is an interesting study: Spirulina Promotes Stem Cell Genesis and Protects against LPS Induced Declines in Neural Stem Cell Proliferation. Many formulas combine spirulina and chlorella, but I prefer chlorella alone. Flax Seed Meal Certified Organic 12 oz. by NOW Foods See the product page at link to the left. This description will be updated soon. Friendly Fats Sprouted Flax and Chia 300 grams powder by HealthForce I often use this as an alternative to flax and chia seeds. Ancient Organics Ghee I even add ghee to my salad dressing! Organic Hemp Seed Hearts 8 oz. by NOW Foods See the product page at link to the left. This description will be updated soon. Pine Nuts Certified Organic 8 oz. by NOW Foods Many people are surprised to find that pine trees actually produce an edible nut that’s not only tasty, but high in nutritive value as well. In fact, Pine Nuts have been widely consumed since prehistoric times, and have enjoyed extensive culinary use in many different cultures. As with most nuts, Pine Nuts are a good source of protein, and they also contain thiamin (vitamin B1) and magnesium. Similar in size to sunflower seeds, pine nuts are an excellent snack food, but they really shine when added to salads and other vegetable dishes, or as a hearty addition to home-baked bread. Pumpkin Seeds Certified Organic 12 oz. by NOW Foods See the product page at link to the left. This description will be updated soon. Vitamineral GREEN powder by HealthForce I mix this with my salad. Vitamineral EARTH powder by HealthForce I drink this mixed with hot water (similar to a tea). I drink this mixed with water. Choose either plain (below) or chocolate from organic cocoa beans (theobroma cacao) containing naturally occurring antioxidant polyphenols and flavonoids. Amaranth Grain Certified Organic by NOW Foods See the product page at link to the left. This description will be updated soon. Dried Apricots Certified Organic 16 oz. by NOW Foods Apricots have far greater potential to protect your eyesight than carrots! Nutrients in apricots help protect the heart and eyes, as well as provide the disease-fighting benefits of fiber. High in carotenoids, vitamins and antioxidants, apricots can help quench free radical damage. 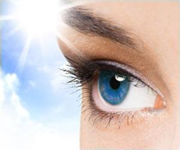 Free radical damage in the eyes can lead to cataracts, macular degeneration and glaucoma. Brazil Nuts Certified Organic 10 oz. by NOW Foods See the product page at link to the left. This description will be updated soon. Organic Golden Berries by NOW Foods These tasty South American berries, also known as Incaberries and gooseberries, have been consumed for thousands of years for a variety of health benefits. Once dried, goldenberries are similar to raisins, but their taste is a unique and exotic combination of sweet-and-sour, pucker-up goodness. Goldenberries are a good source of fiber, potassium and vitamin A, and have naturally occurring vitamin C and bioflavonoids as well. You can eat them straight out of the bag, mix them with nuts and granola, sprinkle them on salads, add them to breads and cookies, or create your own tasty jams and jellies. There’s nothing quite like goldenberries! Maca is a root vegetable that has been used as food and medicine for thousands of years in Peru. Maca’s nutritional components include medicinal terpenoids and saponins, alkaloids, essential amino acids, fatty acids,vitamins, minerals, trace minerals and powerful antioxidants. It is said to promote endurance, energy, vitality and stamina and to improve sexual function and virility. The ancient Inca worshiped it as a sacred plant. Of great interest to glaucoma patients, one recent study noted that Maca was able to increase endothelial L-arginine-nitric oxide activity significantly! That's great news. Maca is an adaptogen. As such, it increases the body’s resistance to stress, trauma, anxiety and fatigue. I think adaptogens are important in glaucoma for correcting the underlying mitochondrial dysfunction that ultimately leads to nerve cell death. Physician Hyla Cass, MD, says maca works. "In my practice, I have seen maca restore hormonal imbalance ... in both men and women." Dr. Mercola says, "Be sure to avoid the inexpensive varieties, as they typically don't work." Organic Pumpkin Seed Butter 20 oz by Jarrow Formulas Omega Nutrition See the product page at link to the left. This description will be updated soon. Organic Quinoa Grain by NOW Foods See the product page at link to the left. This description will be updated soon. Walnuts Certified Organic 12 oz. by NOW Foods See the product page at link to the left. This description will be updated soon.